Do you want to increase success rates with A/B testing? How about generate better ROI from content? Or run events like clockwork? It all starts with Smartsheet. Marketers use Smartsheet to streamline communication, improve transparency, and get more work done. They coordinate website development, branding, design, annual reports, national events, and more, keeping everyone on the same page and meeting deadlines. And now, we’re giving you the chance to get the inside scoop from these marketing super users. 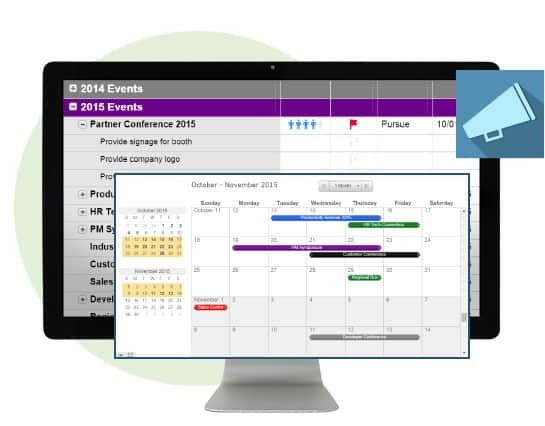 Learn their best tips and tricks to save time, collaborate better, and be more productive. For Visceral, reminders are especially helpful for complex projects like website development with pressing deadlines. Instead of constantly checking the calendar to meet due dates, the Visceral team knows they will get an automatic email reminder for Smartsheet to stay one step ahead of important details. “Reporting is the biggest win for our team,” says Lindsay Talbot, associate producer of Animation Mentor, an online animation and visual effects school. “Whenever you want to know the exact status of different tasks from multiple projects, running a report instantly pulls it all together. 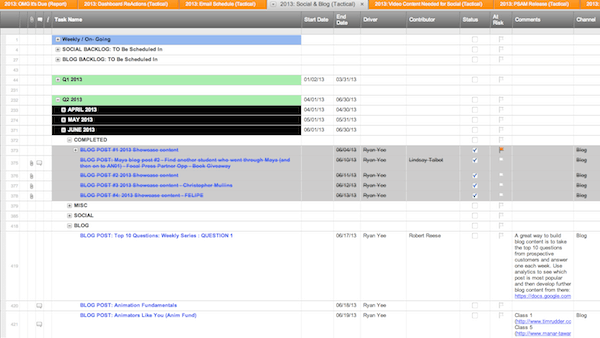 Animation Mentor's blog schedule in Smartsheet. The marketing team at the Port of San Diego is responsible for all activities that promote the Port as a vital part of the San Diego community. They create collateral like graphic design, website management, annual reports, press conferences, events, and more. Justin Kanoya, marketing projects manager, works with Port employees, vendors, and hundreds of contractors to create and deliver all these programs. “Having all this information in Smartsheet saves us countless hours researching invoice status for vendors. We have immediate access, even if we’re not at our desk, to how much money is left in a specific budget. Invoices are rarely misplaced or lost because of the process we have set-up and the tracking that Smartsheet has instilled,” said Justin. In 2012, the United States Holocaust Memorial Museum was preparing for its 20th anniversary with its largest tour and event in 20 years. Thousands of guests were invited to the national tour in four cities, culminating with events in Washington, D.C.
Christine Sonnabend, the lead project manager, used Smartsheet as the centralized spot where the team could work while also providing visibility to the regional offices. “Now everyone can see exactly what’s going on – the status of each deliverable, the attachments, comments, and which designer is assigned to each task. It’s taken the mystery out of project management – and the random, time consuming questions,” said Sonnabend. 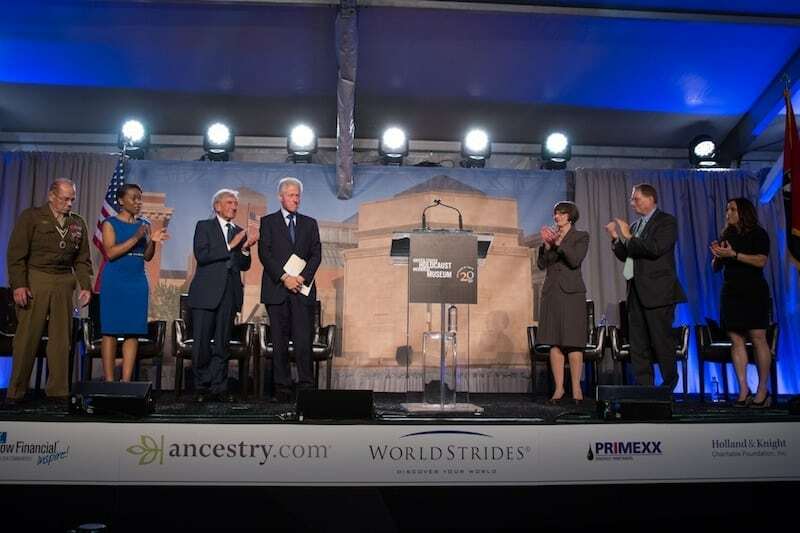 Former President Bill Clinton and Museum Founding Chairman Elie Wiesel keynoted on the final day of the national tour. The team at Cypress Grove Chevre, makers of fine goat’s milk cheese, uses Smartsheet to capture meeting agendas, tasks, and notes, wherever they are. “We have weekly conference calls and from wherever we happen to be that given week, we open up Smartsheet to see the agenda, the progress, and immediately focus in on any trouble spots. It’s a real time-saver, “ says Jason Baxter, marketing manager. From marketing webinars to best practices and how-to articles, Smartsheet helps marketers improve efficiency and get more work done. And we’ve recently added one more way for you to maximize your marketing efforts. The new Marketing Solutions Center was designed to help you get more out of Smartsheet and solve key marketing problems. Each solution is built off industry best practices and comes with pre-built templates and a detailed Solution Guide to help you get started in minutes. Visit the new Marketing Solutions Center to boost your marketing efforts.